The 9 Best Places to Celebrate St. Patrick’s in Alabama! Alabama knows how to celebrate, and St. Patrick’s Day is no exception. For festive parades and lively pubs, Alabama has what you’re looking for on March 17. 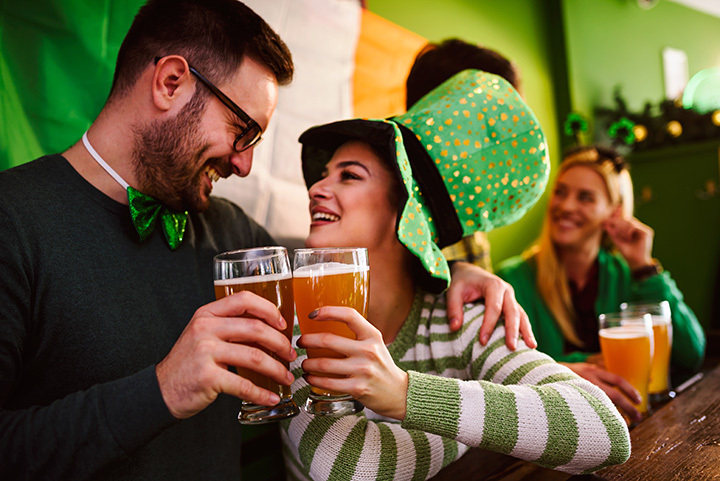 Sip on some green beer and don your favorite green attire to celebrate the heritage of the Emerald Isle! Here are 9 great places to show your Irish pride on St. Patrick’s Day in the Heart of Dixie. Celebrate St. Patty’s Day right in the city that knows how to throw a parade. If you like a little Mardi Gras with your St. Patties, come see the Mobile parade for a day of fun and frivolity. McSharry’s is an authentic Irish Pub with a lively atmosphere. The pub hosts a traditional Irish Music session every Sunday, and has a quaint PaddyO for sitting outside and sharing a brew. Irish Bred Pub is seated in the heart of downtown historic Opelika, and has an award-winning menu of Irish favorites that will keep you coming back. The large pub can handle you and all your friends on St. Patties. With over 45 beers available, Maggie Meyers is sure to have something for everyone on St. Patrick’s Day. Everything from their kitchen is made from scratch, from their pickles to their corned beef. The Huntsville parade is a St. Patrick’s Day event the whole family can enjoy. Celebrate Irish culture with your fellow community members. Whether your Irish or want to be Irish for a day, this is your spot. Mulligan’s Pub is small but mighty, and hosts live music nearly every night. Expect friendly staff and a high-spirited atmosphere when you visit this pub on St. Patties. For a great time with friends on the coast, O’Chopper’s is a great stop on St. Patrick’s Day. A highlight on their menu is their tasty Reuben sandwich. Innisfree is a large pub in Tuscaloosa that knows how to host a lively St. Patrick’s Day. The pub has endless seating both inside and outside, and a delicious menu of Irish classics to enjoy. There’s nothing quite like the Five Points South St. Patrick’s Day parade. The all-day event hosts several vendors serving your favorite classic Irish food and drinks.